Paul is getting fired from his job tomorrow. His job is being the creative force behind a pretty big deal of a video game, and the rest of the top-level guys want him out. Paul ends up meeting Chloe at the Mexican restaurant he's hiding out in, and suddenly Paul is in the middle of a massive con to try and get what he's truly owed from the company. Thus begins the wild ride that is Geek Mafia. The plot is strung together by a bunch of fun, tech-heavy heists, the characters are fun and fascinating, and the book reads like a really freewheeling action movie - this means there's not a ton of depth going on, but it really doesn't matter much in the end because you're enjoying yourself so much. Paul's a comic book nerd, and the author, Rick Dakan, worked on a number of World of Darkness RPGs and came up with the idea behind City of Heroes. There's clearly a lot of Dakan in this book, but that's not really a bad thing, considering how fun the ride is. If I have any complaints, it may be that the author is clearly seeing himself in the main role here. Not a big problem - write what you know. However, a lot of less-than-necessary opinionating along the way kind of throws things out of whack a bit. If you dislike that sort of thing in your fiction, this may be fun enough for you to be able to let it slide, but that might be my only issue. I'm really, really looking forward to the sequel (which I already have on my Kindle). The best news, however? 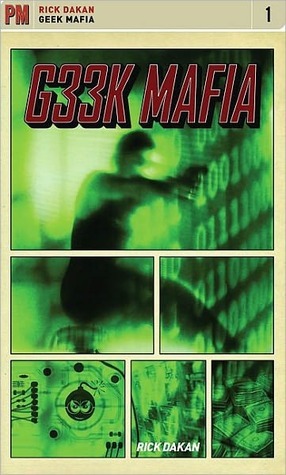 The first two books in what is currently a trilogy were released via a Creative Commons license. This means you can download this free and legally for the e-reader of your choice. I paid the discounted price on last month's Amazon Kindle book sale, and I don't regret it, but I like free things, too. Especially free things this good. I highly, highly recommend this one for a great little piece of escapist con artist fun.